The Maurten 320 Drink Mix is the world's first sports drink to utilise hydrogel technology, allowing high concentrations of carbohydrates to be delivered to the intestine without having an adverse effect on the stomach. Carbs are encapsulated and convert to a hydrogel on contact with stomach acid to ensure smooth and comfortable delivery and absorption. Containing a mere five natural ingredients; a combination of carbs and salts, you can rest assured that nothing nasty is being ingested and the blend is flavour, colour, and preservative free. The 320 is the most carbohydrate-rich sports drink available, delivering 80 grams per 500ml, making it perfect for the toughest races and training sessions. Chosen by professional marathon runners such as Galen Rupp and Wilson Kipsang, as well as pro level cyclists from the WorldTour, you can be sure of top benefits to your performance. 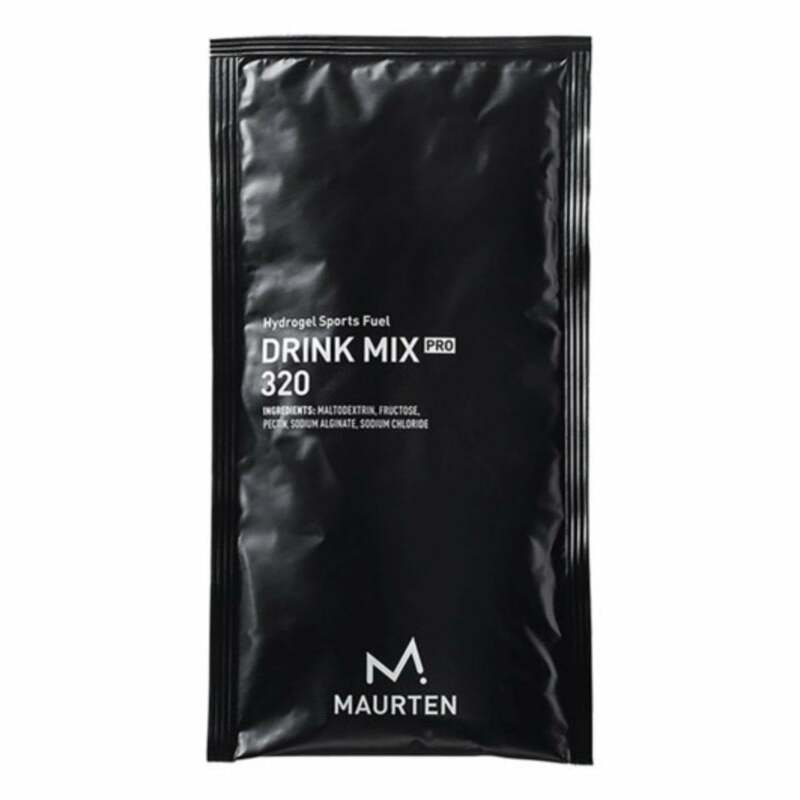 Maurten drink mix 320 sachet - used by the finest athletes in the world!